Google Play has come out with a new way to localize app store listings on the Google Play Developer Console, which can only mean… Better keyword targeting and localized conversion strategies for each country! Until recently, the best way to target particular countries in the Google Play Developer Console was to localize your app listings into that language. Under “Manage Translations”, you are given a breakdown of languages, only some of which are subdivided by country (e.g. PT-BR for Portuguese-Brazil). At yellowHEAD, we have been using these Translated Listings as opportunities for localized keyword targeting, based on in-depth keyword research in each language. We also make sure the graphic assets are properly localized, using translated CTAs and graphic elements that resonate with the main culture or country which has the most installs for that language. Naturally, following this localization process, we have seen many apps enjoy increased local organic impressions, page views and installs, as well as improved conversion rates, with positive results globally. 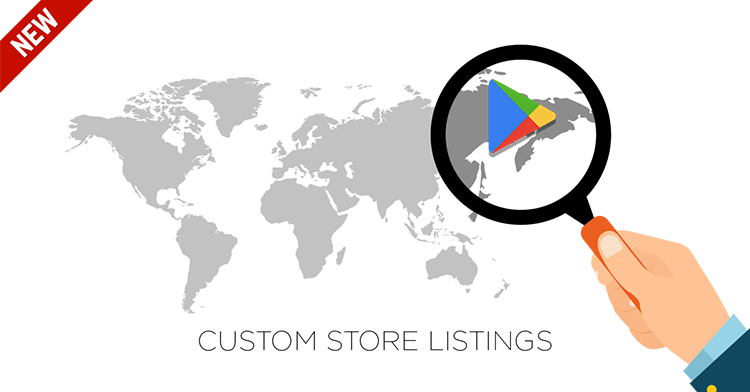 So Why Custom Store Listings? The Language Translation of the Store Listing only goes so far. You can only target a country based on its language group – so while Spanish has 4 subdivisions (US, Spain, Mexico, Latin America), you can’t create specific listings for Columbia, for example. The same applies to Taiwan and Chinese Traditional, and many more. Let’s say you have a specific offer for users in Switzerland. The default language settings of a user there may be French, German, Dutch or English. How would you target all of these users if the offer doesn’t apply to users in France, Germany, Netherlands or the UK? Well, with a Custom Store Listing – that’s how. Currently, the listing is displayed in the language of the user’s device settings, regardless of where they are located. With a Custom Listing, it would ignore this setting and display as defined by the Custom Listing – meaning, by the country in which the user is located (or registered? We are not clear on that yet!). Custom Store Listings are super handy for apps with product offers that differ by location, NOT necessarily by language. For example, a retail app with free shipping only within a certain block of countries would benefit from this feature. You can group countries together to have this override of the normal translations happen automatically across a few countries at once, then quickly remove them when the offer is no longer relevant. Furthermore, you can now target more specifically a country currently grouped under a language translation like “Latin America” that lacks further drill-down. 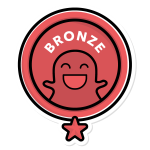 Check your installs and CVRs – can you pinpoint a country that shows interest and deserves more attention? Proper localized keyword research is essential here, with well-localized listings for the specific country, rather than the ‘most representative’ of the language bloc. Specific optimization should then follow, basing keyword modifications of the listings on that individual country’s keyword ranking results. The Disadvantage: Is there one? To be honest, we thought there was one at first, but we were wrong! We first expected there to be a danger in delivering a listing in a default language the user may not understand. As an extreme example: an exclusively French-speaker in Switzerland encountering a default German listing ( « Je ne comprends pas ! » ). But, the clever folks at Google already have that covered – you can add the Language Translations (and localized graphics for each) for the Customized group as well, to have all your bases covered. But how will it affect A/B testing audiences? According to Google Play, “Store listing experiments currently don’t differentiate between traffic from your main store listing and custom store listings”. So, as long as you don’t create any new Customized Store Listings while an A/B test experiment is running, the results will be consistent and statistically sound. It would be equivalent to changing your regular store listings while an ASO experiment is in progress. You just shouldn’t do it. Keep to before or after the A/B test and your experiment will be fine. Have any questions? Contact our ASO team.